approximately 50 books bought for the school library, stamped. 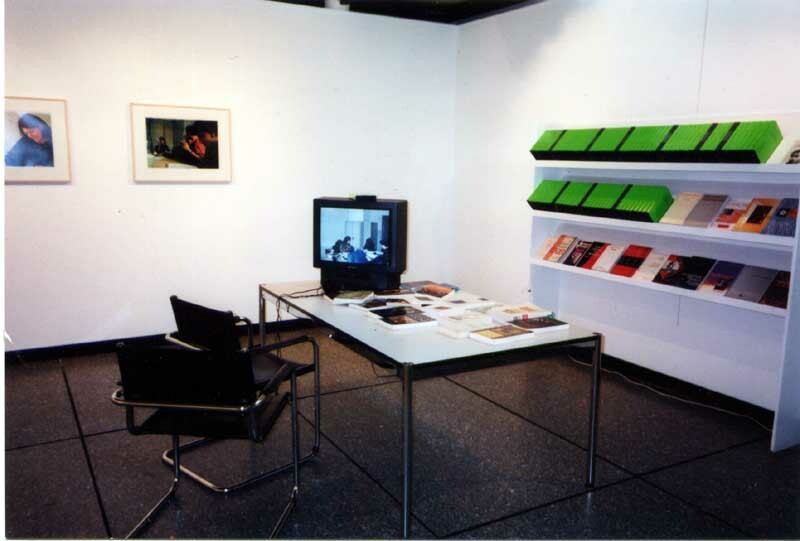 For a period of 2 years I was invited as an associate professor at the Art Academy in Geneva, formerly called ESAV. I had to be there six weeks a year for one week. This time I used to read with students books I was bringing to the school and integrating it to the library. All discussions were recorded on video and partially photographed. 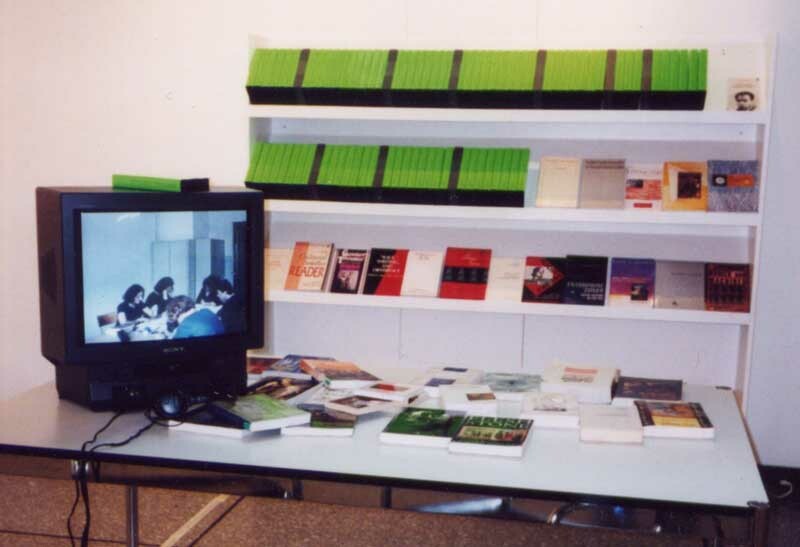 The photographs are entitled "book by book" and were presented at the Centre of Photography in Geneva in 2000 together with the videos and with the books the library lent us for the time of this exhibitions. All books were stamped with the title of this invisible, immaterial piece that belongs to nobody since the library is only in possession of the books and not of the art work. I am in possession of the art works but not in possession of the books - the material basis of this art work.